Whimsical cast iron leaf coaster. It insulates teacup and protects your table. 4-3/4 inches in length, 3 inches in width. 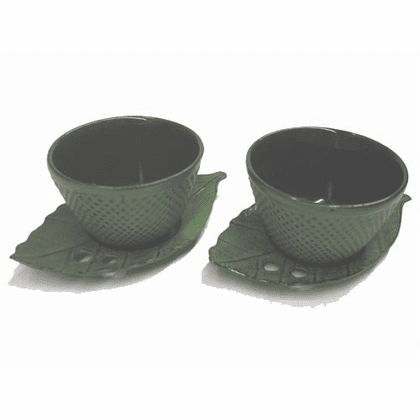 Set includes two green hobnail tea cups and two green leaf coasters. Matching cast iron teapot available. Matching cast iron tea cup available. Matching cast iron coaster available.